It has been a long time since I was in public school. When I was in school I had many teachers who were Christians. But even in the early nineties their faith was kept under wraps. They could not pray for us or push us towards God. They could not reject a teaching because the Bible rejected it. And I went to public school in a conservative Southern state. It is hard to picture that has changed for the better in the last 20 years. Every story I hear is of schools becoming more and more liberal in their teachings on sexuality, politics, economics, etc. I know there might be exceptions, but my guess they are few and far between. Thanks for your work, labor, and love for the students. I know you see your job as a way of honoring God. Despite these things and all the good you have done, I would still encourage you to get out. You will make less money teaching at a private school. You might have to move to get a job. You will lose many of your benefits. Your financial security will be lost. Your reputation might be ruined. But given the current situation, it is the right thing to do. Wouldn’t it be great to work at a place where you can talk about Christ openly? Wouldn’t it be great to tell your math students about the God who created this world with order so Algebra works? Wouldn’t it be great to pray with your students before class or to show them how history demonstrates man’s sinfulness and God’s kindness? Wouldn’t it be great to pray with other teachers for a student who is struggling? There is little doubt that at this stage in history it would be a sacrifice to leave the public school system. But the New Testament is clear that those who sacrifice for Christ will have their reward (See Matthew 10:42, 19:27-30, and Colossians 3:24). In particular I would encourage Christians working in the public school system to meditate on Hebrews 11:23-27, the story of Moses. By faith Moses, when he was grown up, refused to be called the son of Pharaoh’s daughter, choosing rather to be mistreated with the people of God than to enjoy the fleeting pleasures of sin. He considered the reproach of Christ greater wealth than the treasures of Egypt, for he was looking to the reward. By faith he left Egypt, not being afraid of the anger of the king, for he endured as seeing him who is invisible. Moses left Egypt because he would rather suffer with God’s people than enjoy the passing pleasures of sin. He knew it would be painful, but he also knew that Christ was worth more than Egypt and would reward him. I believe this is where many Christian teachers in public schools are at. It would be a tremendous help to your fellow Christians if you left “Egypt” behind. I know you have done some good and I know you would like to do more good. I also know there are many Christian kids in these schools. And I know you love the students that come in each year. But at some point, as Jesus said, you have to let the dead buried the dead. The public schools are more and more hostile to the Christian faith. 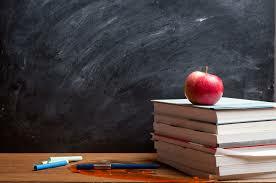 The constant hammering of the homosexual agenda, failure of a sexual ethic beyond consent, prominence of the evolutionary origins of man, rejection of truth in favor of feelings, revising of history, watering down of standards, lack of respect for authority, necessity of being politically correct, and the postmodern reading of literature all indicate that the public schools are not a place where a Christian teacher can consistently and publicly exercise their love for Christ their Savior and Lord. Therefore I would encourage you to get out and find a place where your faith in Christ, love for his Word, and understanding of His Lordship can be a central part of your teaching. ← Did the Early Church Approve of Homosexuality?